Hiện tại có 232 khách và 2 thành viên đang online. The 8200 series features insulation resistance testers for ultra-high resistance measurement. 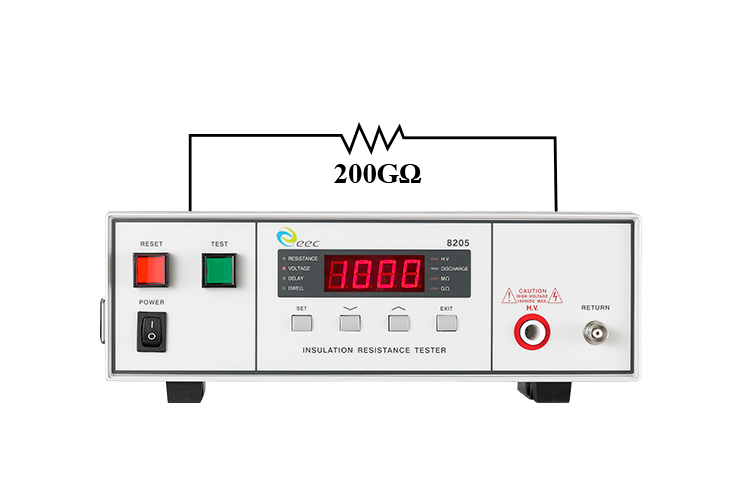 With voltage output of 30-1000V and measuring range up to 200GΩ, the series meets the insulation test for a variety of electrical components and finished products. Designed with digital display and simple push-button operation, it is suitable for production line and unit application verification. Ultra-high resistance measurement up to 200GΩ for testing high-resistance components. EEC exclusive patent right on Smart GFI where disabling all relevant circuits when detects an excessive amount of leakage current flow to the ground to protect the operator from high voltage electric shock.